Barker Creek's beautiful Moroccan Letter-Sized File Folders are an affordable way to organize your office, classroom, and home with style and flair. 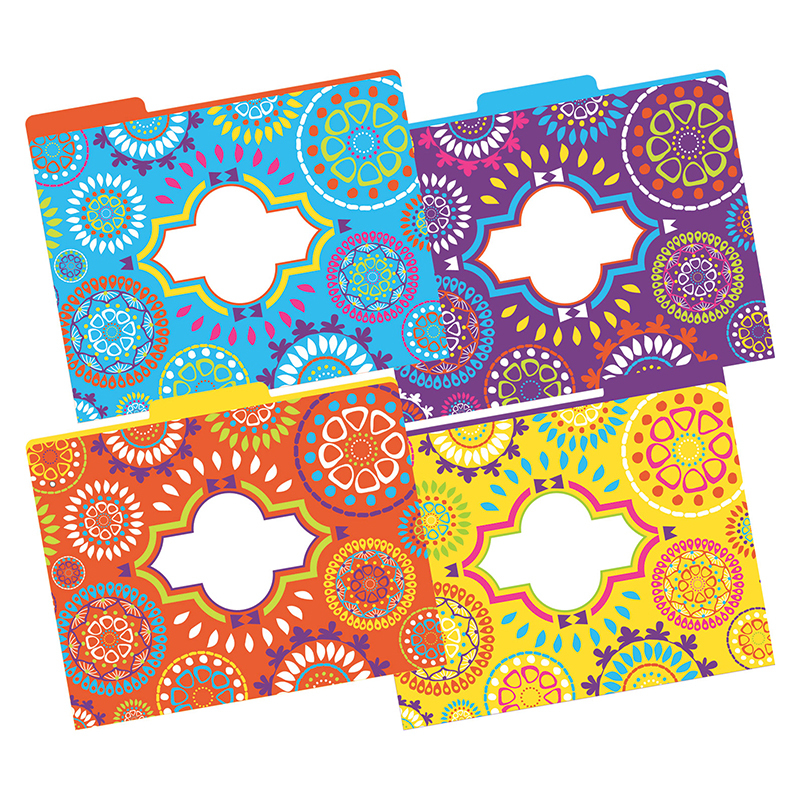 Each package includes 12 file folders - three each of four colorful designs. The folders are 1/3 tabbed (which, in file folder lingo means they have three tab positions - four folders are tabbed on the left, four are tabbed in the center and four are tabbed on the right). They include a preprinted "label"� on the front for adding a table of contents, highlighting meeting agendas, listing the names of team members....and so much more. Fully reversible, each folder has a colorful design on one side and a vibrant, solid color on the reverse side - perfect for making file folder games and lapbooks. Additionally, they are great for everyday filing needs, presenting meeting handouts, organizing important papers, sending work home with students, storing treasured photos and archiving other significant mementos. The possibilities are limited only by your imagination! Be sure to check out all of Barker Creek's coordinating Moroccan products!